Final ticket orders to be in by next Tuesday night, September 10th. There is already huge demand! Please note that we have been informed that the allocation for Swinford will be approximately 80 tickets. Hence, it is highly unlikely we will be able to look after anybody who did not enter the Club Draw. If you are fortunate enough to have already secured a ticket, please don’t ask for another one. 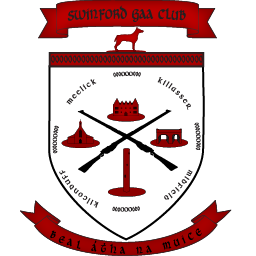 Reminder: Swinford GAA club are running a table quiz on Thursday 19th September in the Gateway Hotel, and 2 Senior football All-Ireland tickets are up for grabs on the night!